Canadian Traveller offers a Canadian perspective of how Canadians travel the world. Canada's 34 million people now make up the 6th largest group of international tourism spenders and we strongly feel we travel differently than the rest of the world. 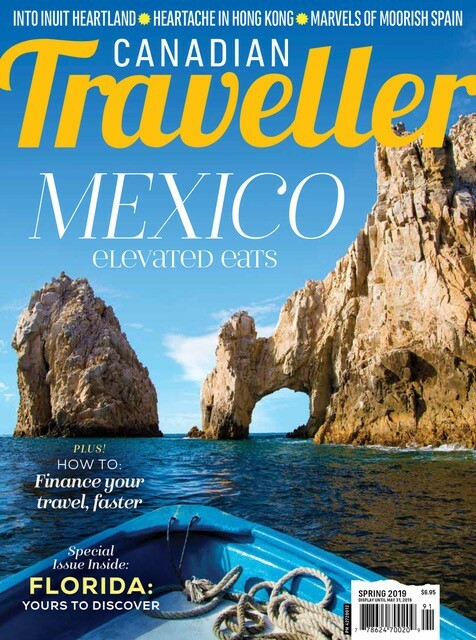 Our editorials are meant to stimulate the travel bug within Canadians and force us to as the question Where Next? Whether it be a weekend drive over the border or a three week safari in Africa, our editorial captures the essence of the Canadian experience. Frequently within our articles are unique Canadian perspectives of a destination, speaking directly to the Canadian need to experience and explore a destination, not just 'go' to it. The quarterly print and digital publication is further enhanced with daily online content designed to entertain and further stimulate Where Next? 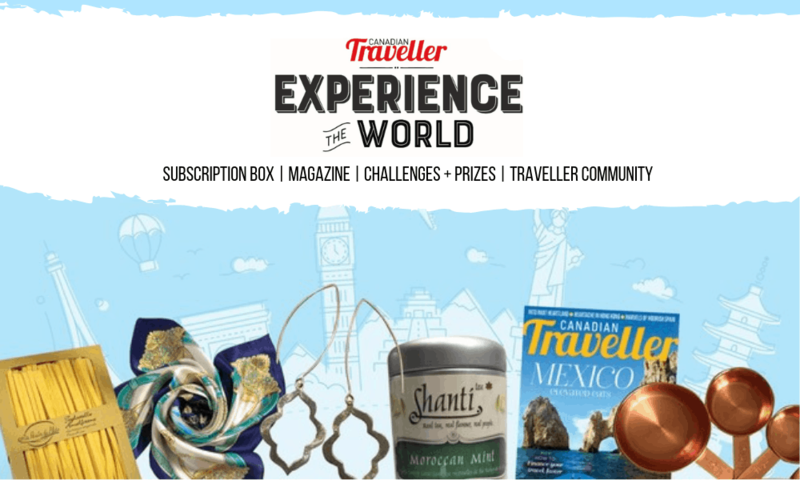 Canadian Traveller’s Experience The World box delivers a collection of specially-curated items for curious and adventurous people who have a genuine interest in bringing more of the world into their home. The Experience The World box is an extension of the travel experience, letting you re-live past travel experiences, or to inspire your next vacation. Enjoy the tastes and smells of a dream destination, as well as authentic items that represent local culture and flair. 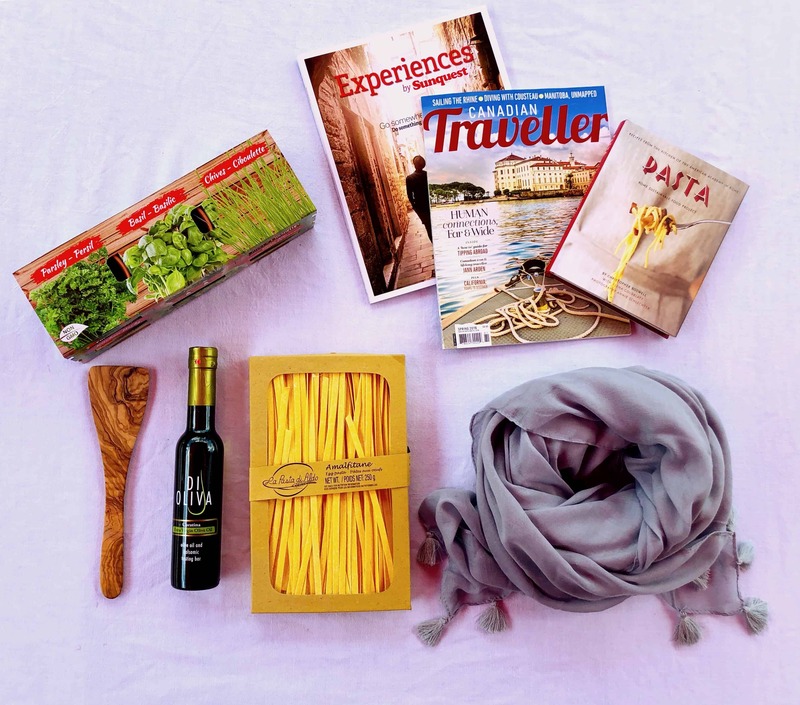 Touching on everything from food to fashion to customs, the Experience The World box is the next best thing to actually being abroad.